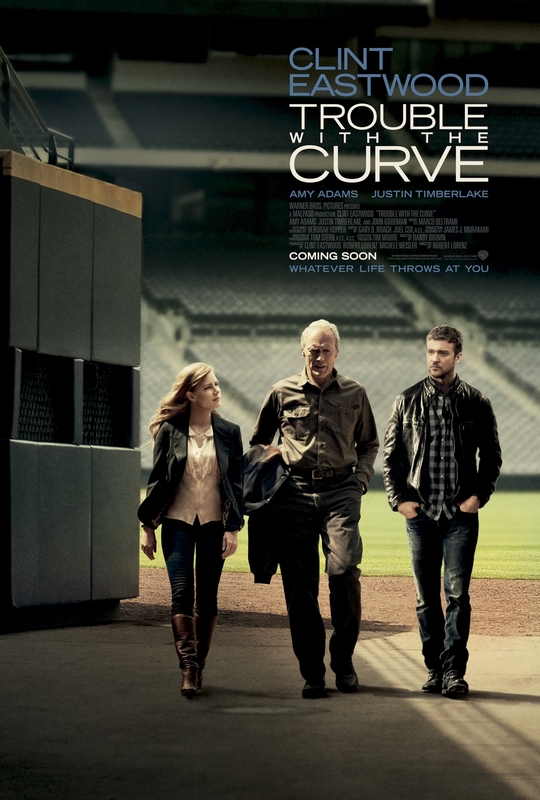 Here’s a new look at the forthcoming film from Robert Lorenz, Trouble with the Curve, which stars Clint Eastwood, Amy Adams and Justin Timberlake. Leading the film as Gus Lobel, a baseball scout in the twilight years of his career, Eastwood makes a rare appearance in a film he’s not directing and in this short clip from the film we see him with John Goodman as Pete Klein, an old friend and colleague concerned about Lobel’s thoughts on retiring. Goodman can currently be seen supporting Ben Affleck’s excellent Argo, pumping full blooded cynicism and Hollywood grandeur but here he’s far more subdued. Eastwood is always worth watching on screen and Lorenz has got a great cast to support him here. Here’s your clip, you’ll have your chance to see how you deal with Trouble with the Curve when it enters UK cinemas on the 30th of November.